Which Baby Sleep Method is Right for You? A sleep method gives you guidance to help your baby sleep. Some methods can be called baby sleep training (typically the harsher or more impatient methods). I personally prefer terms like approach, techniques, support and guidance for the gentle method that I work with. Ferber method, No Cry Sleep Solution, Dr. Sears, Baby Whisperer, controlled crying, cold turkey crying it out ... or yours truly, the BabySleepAdvice approach: which one is right for you and your baby? Each method has its own general philosophy and approach to sleep in general. Some suggest specific help in specific situations. It's easy to feel overwhelmed and confused by the many baby sleep articles and books on the market. Unfortunately there are many, sometimes conflicting and sometimes bluntly incorrect sources. 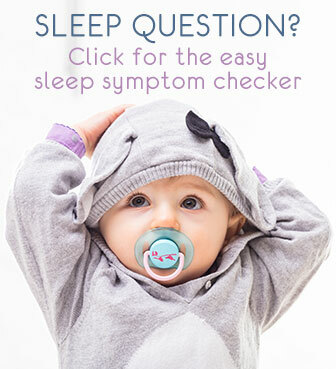 Do be careful with paid click-here-to-order solutions that guarantee to help your baby sleeping through the night (yes even at an age where it is physically impossible or even unhealthy ...). Your best bet is to go with your instincts, observe your baby/toddler well and do not let others talk you into something that does not feel right for you. The different sleep methods on the market each take their own approach to apply the basic principles and instruct parents how to apply them. Please (please!) be very careful if you come across a quick-fix magical solution that promises a short-cut and omits any one of the above principles. They will do more harm than good for your child's sleep, especially in the long run. Key differences among the methods are in whether letting baby cry or not, help her with settling or not, co-sleeping or not, etc. Since we're all different, no single method works for all babies or toddlers and their families. What counts is to find out what works for you. Helping you find that unique best-fit way to help your baby or toddler sleep is at the heart of this website. It is my very personal mission and passion to guide you through best-practice basics and helping you discover the specific techniques YOU and YOUR baby need, at a time you're both ready for them. The many available modifications within the techniques, designed to ultimately suit your baby's needs are an essential and much-loved part of the method, as well as its being truly without tears. Start at these pages for general guidance with the basics: help your baby sleep through the night and avoid common infant sleep problems. No-Tears Sleeping Through the Night helps your baby or toddler wean from unnecessary night awakenings and feeds. Overcome Frequent Waking takes that a step further with a uniquely tailored sleep action plan for those babies who wake up every hour or otherwise too frequently at night. No-Tears Self Soothing helps you teach your baby or toddler the all-important skill of settling independently - the key of lasting good sleep. Nap in a Snap gives you the tools and techniques to set up the nap routine that works for your baby/toddler. If you are just starting out with a new baby, a good beginning is to read up on the very basics in my Complete Newborn Sleep Guide - "Just what I needed right now as a first time mom". This sleep method, originally proposed in the book The No-Cry Sleep Solution, is the work of Elizabeth Pantley, the well-known parent educator. As the no cry sleep name suggests, Elizabeth Pantley promotes gentle guidance to help baby sleep without the need to let her cry. She sets parents to work with keeping logs on nap and night time sleep and wakings. While many parents see successes with this approach, parents regularly report to me that they found it difficult to follow through. Don't miss my No Cry Sleep Solution interview with Elizabeth! Known for its child-centered nurturing approach, attachment parenting advocates gentle guidance towards good sleep at baby's pace. Crying is not part of the attachment parenting approach, but baby wearing, co-sleeping and breastfeeding are key features. Co sleeping benefits are widely accepted and safe when the co-sleeping safety guidelines are well followed. Dr. Sears describes this in his well known book The Baby Sleep Book. Even if you are not completely into attachment parenting, this is a good resource if you are looking for support to guide your baby in a loving child-centered way. My interview with Annie of PhDInParenting.com on attachment parenting and baby sleep gives an interesting introduction to attachment parenting and its approach to sleep guidance. In her book, Secrets of the Baby Whisperer, Tracy Hogg suggests a sleep training method that keeps an interesting middle, balance, between no cry sleep methods as above and the crying it out ones below. Tracy Hogg specialized in tuning in to baby to help understand what she needs, and helped parents observe and listen to their children. When teaching baby to sleep alone, rather than holding, nursing and rocking, the baby whisperer method suggests comforting by picking baby up, and putting down as often as needed until she sleeps (pu/pd method). Note: This is a sleep training method that involves crying it out and I do not advise nor support it. Through his book Solve Your Child's Sleep Problems, Richard Ferber, M.D. advises all parents to use his sleep training method that became known as ferberizing. 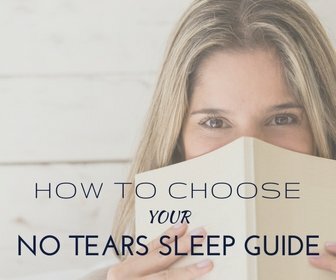 Many people identify crying it out with this Ferber sleep method, although it is not the only one where baby is left to cry. The Ferber method involves letting baby cry, in the so-called progressive waiting approach. This may not pose as a cold turkey cry it out method, but it remains controversial due to lots of crying involved and I do not support it. Crying it out is the general term used when baby is left to cry as a method to teach her how to settle for sleep, or to make her sleep. Crying it out is sometimes part of established sleep training (for example Ferber method) or some parents simply have their babies cry when they feel it is necessary or helpful. We do not count letting baby fuss for a couple of minutes as crying it out. It's about leaving a baby to cry for longer than just 'initial fussing'. Some training methods do this in varying amount of minutes and/or also involve the harsh cold turkey crying it out. That is when you put baby down in the crib, leave the room, close the door and do not go back in before baby has slept the night. I repeat, I do not support these types of methods and include them here for information and warning purposes only. There are infamous pro's and con's of crying it out as well as situations where it should be out of the question or when cry it out could be an option. Finding a baby sleep method or sleep train method that really works for your baby or toddler may not be easy. 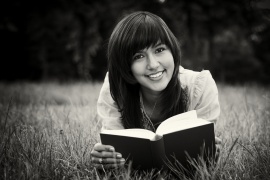 Of course you don't necessarily need a specific market method to guide you. The main step in any case will be to trust your instincts. Approach sleep parenting in YOUR way all while keeping supported by researched information and proven tips and techniques. I warmly invite you to read through the different topics on this site. It will help build your understanding of the why and how of sleep, and will help you discover what will work for you. Never hesitate to Ask me A Question! any time.